The Mamanuca Environment Society provides environmental education for schools and is now preparing for yet another challenging school term. MES looks forward to visiting schools again in the Mamanuca region. The Environmental School Program for the first term kicks off on the 31st of January and an hour session is conducted every Wednesday and Friday in each school. The curriculum targets grade seven students that included schools such as Mana SDA, Malolo District, and Namamanuca Primary School. Apart from the incorporation of knowledge and awareness on the environment, MES staff also organise celebrations and set up activities for the world marked events on their Environment Calendars such as International Day of Forest, World Water Day and Meteorological Day where children are encouraged to participate. The objective of the school program is to integrate the theories with practical (hands-on) knowledge. 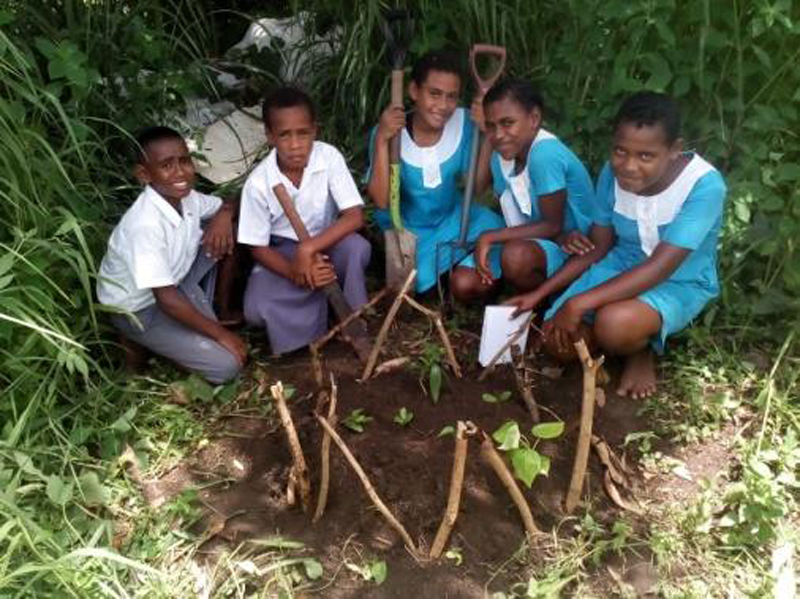 “This term the children will focus on ridge conservation, the collection of seeds, seedling and creating their compost and low-cost nursery and potting materials using reusable materials,” said Marica Vakacola, MES Project Manager. “Introducing conservative action and sustainable living amongst our children is at the core of their weekly curriculum” she added. MES is confident that by targeting the younger generation, these students are inspired to become future environment advocates and become excellent stewards of the sustainable management of their natural resources. MES would like to sincerely thank all our member resorts, corporate sponsors for continued support. Sincere thanks also to private businesses in the Western Division that have made donations in kind, towards this initiative.